Today we’re going to talk about how much does it cost to go to Disneyland? 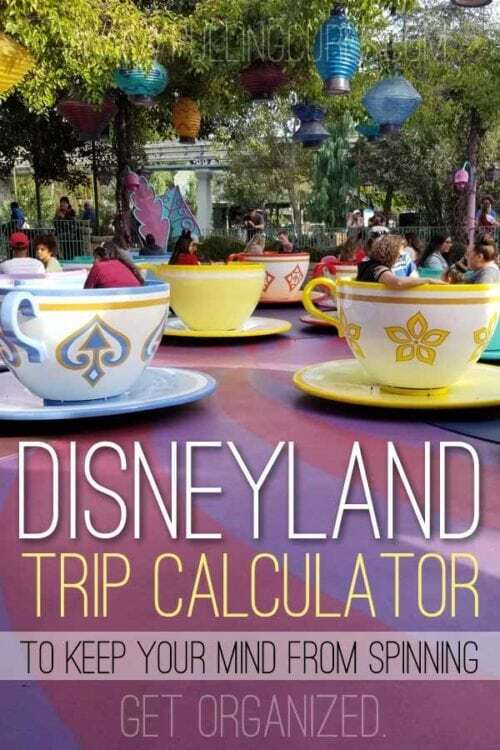 — I have a Disneyland Trip Calculator set to help you make it magical. This Free Trip Calculator can help you plan ANY trip! 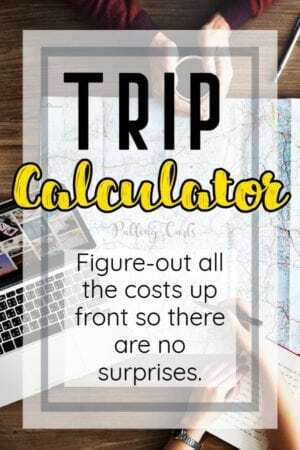 Let’s talk a little bit more about the costs associated with your Disneyland Trip and then you can use the calculator to estimate your basic costs (can be used for any trip — I just use Disneyland as an example). 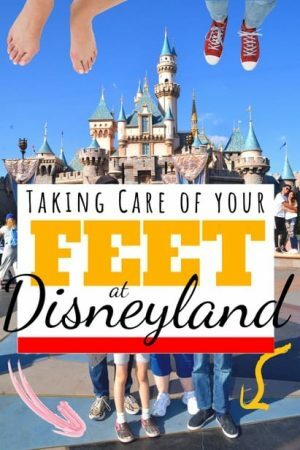 Want to just book the whole thing together — check out my post on Disneyland All-Inclusive Vacations. 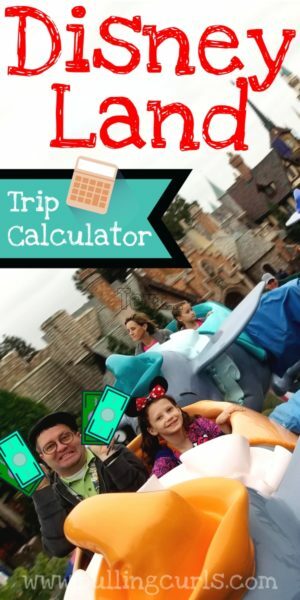 I also have a totally free spreadsheet that you can use to both calculate the cost of your Disneyland trip — but it ALSO serves as a Disneyland Trip Planner — so everything is in one spot (you can use it as a google sheet, or download it to use in excel). Looking to see what our family actually spent on their own trip — check out my Disneyland Budget post. I have flown into Disneyland a few times. The good news is that there are several airports in that area to choose between. Most of these airports have cheap’ish shuttles you can use to get to your hotel if you prefer not to rent a car (or use Uber). You can find out the approximate amount it will cost you to drive from home right here. I 100% believe that Get Away Today is the fastest, easiest and cheapest way to book your hotel. Be sure to use code CURLS10 to save another $10 on your order! They have the best price guarantee. You can see the hotels I’ve picked in my post — Disney Family Packages. No surprise, but Get Away Today, has the BEST prices for tickets as well. Often you can get a free day, or great discounts, I would NOT book with anyone else til’ you see their prices. 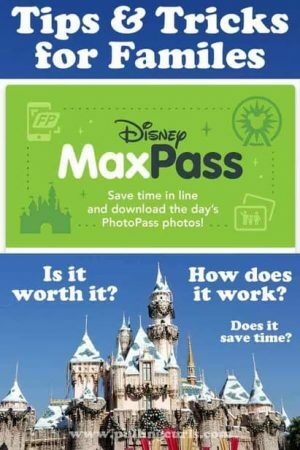 Be sure to check out the Disneyland Maxpass too. 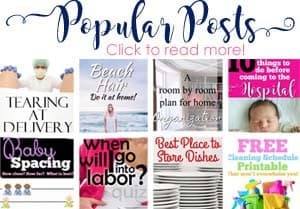 << That post has my best tips to get your money’s worth. 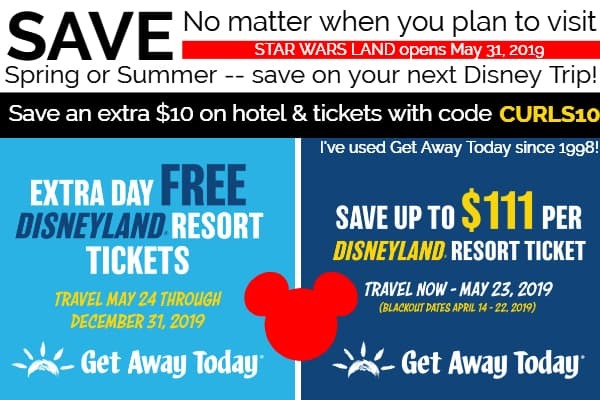 BTW, Get Away Today also has awesome hotel deals for the San Diego area as well (I used them for my last trip there and found it to be WAY cheaper than what I had called around for). You can also use the local transit system that drops off at Disneyland (and other areas) called the ART Shuttle. I have done both, they are both fairly convenient. I am a BIG fan of buying things in advance on Amazon or at Big Box stores (like Walmart or Target). So often they have Disney Merchandise, and if you can’t find it nearby — you can always stop by one closer to the park and grab some there! 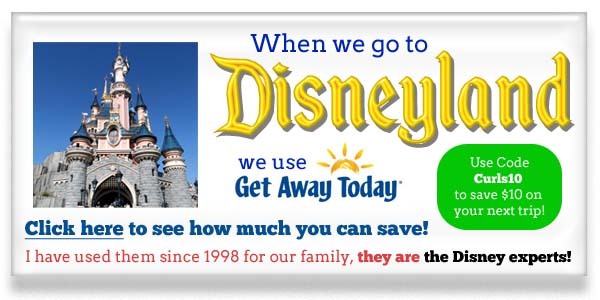 Be sure to check out my post on how we saved at Disneyland for more info — or check out this fun way to make a free souvenir. Disneyland food can certainly break the bank. 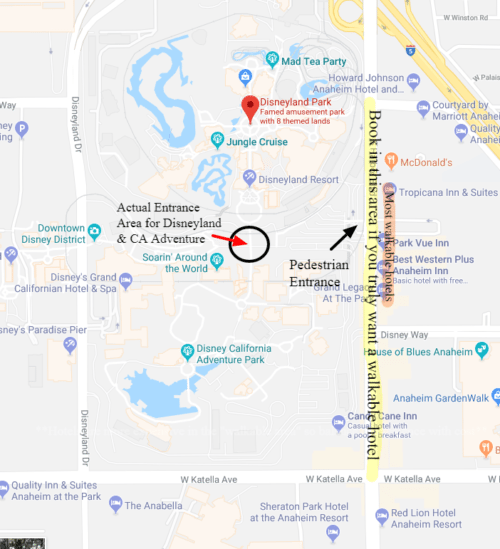 I wrote a post that outlines the best place to eat at Disneyland. The good news about food at Disney is that they usually serve VERY large portions. Often we split 2-3 dishes and all walked away full and happy. Can you bring food into Disneyland? The other good news is that Disneyland allows you to bring snack food into the park. As long as you’re not carrying a cooler full of KFC or Subway I think you’re good to know. 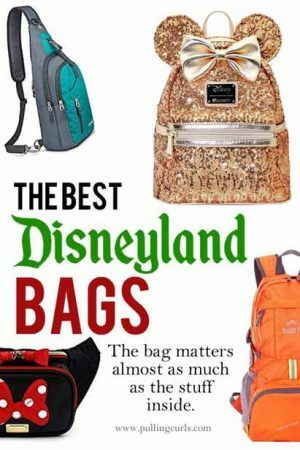 I have a post on what to bring to Disneyland that I think you’ll really like — to help you with ideas on what to bring. How much does it cost to go to Disneyland for a family of 4 in 2019? 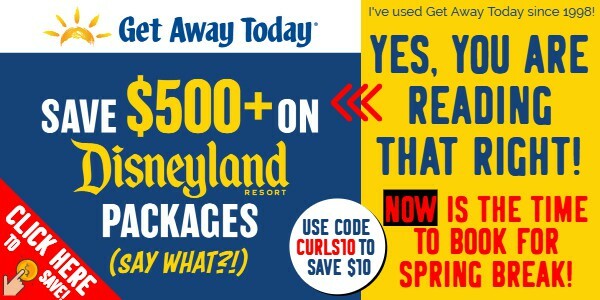 I asked the nice people at Get Away Today to give me some average numbers for them — don’t forget to use code CURLS10 to save another $10 on your trip! Is Disneyland more expensive than Disney World? Yes. You can do a Disney World trip cheaper than Disney Land. However, for us — we can drive to Disneyland, but we’d need to fly (or die driving SOooo long) to Disney World. It is ESPECIALLY cheaper if you choose to stay on site. 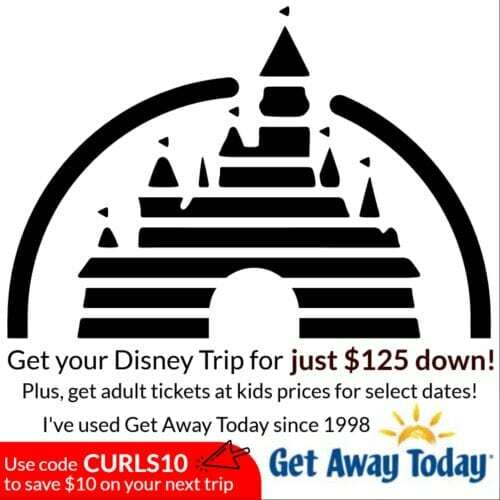 Psst, Get Away Today does Disney World too! Disneyland, of course, just raised their prices to a tiered system. That means, if you go at a less-crowded day — you’ll pay less. You can find out the prices right here (you’ll need an arrival date to find out the price of tickets). 3-Day Park Hopper Tickets start at $225. 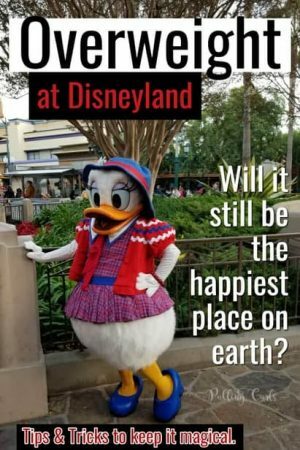 Is Disney World Better than Disneyland? Man, I haven’t been since I was about 13… but it was amazing when I went. We hope to go at some point, the stars just haven’t aligned yet, and since we live 5 hours from Disneyland… it’s just hard to know. What are the differences between Disneyland and Disney World? Disney World has 4 theme parks. It has a LOT of Disney resorts, so you can stay on site and have a total Disneyland experience. Plus, there is a HUGE Universal Studios there, that we’d 100% add to our visit. Heck no! BUT, you can get a cute little button at City Hall — and everyone will WISH you a happy birthday. Woot-woot! 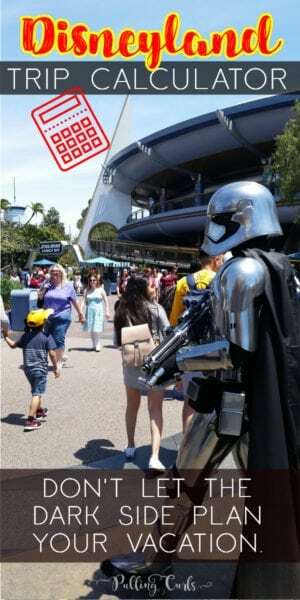 Do you need ID to get into Disneyland? No, but they do take your photo and match it with your face when you go through the main gates. Aka, you can’t cheat and buy a 3 day and sell the other 2 days to someone else. 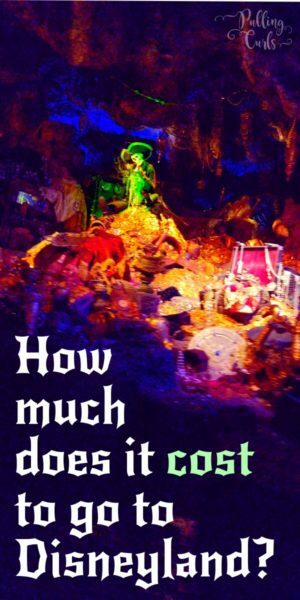 How much money should you bring to Disneyland? 100% it is! Plus, with Get Away Today you can even buy them that day as they are all e-tickets. No big risk (unless they’re having a sale, then — be sure to jump on the sales when you see them). Yes. Don’t let people fool you that it’s a cheap trip. However, you can make it pretty inexpensive — and because your tickets are the main thing you’ll do — you know your pricing pretty-well up front! 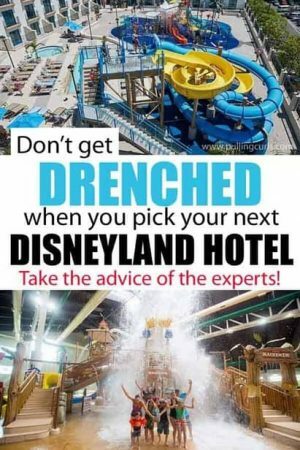 How nice of a hotel do I really want at Disneyland? Honestly, not that nice. You likely won’t be spending much time in your room if you’re going there to focus on DISNEYLAND. If you’re going to also get away and maybe have a day or two off of the parks (which I think is a great idea) you might want to look for something nicer. For me, I think the nicest hotel we were at (with lots of room and good food, etc) was Staybridge Suites. However, we now stay closer to the park, and those rooms are small and utilitarian — so, sometimes I’m not sure the upgrades to the Marriotts that we’ve stayed at are worth it. You can learn more about the hotels we’ve been to at our Disneyland family packages post. Do AAA members get discounts on Disneyland tickets? Yes, they do — but you’re on your own with AAA — with Get Away Today, you get the best price guarantee along with the BEST customer service I’ve ever experienced. It’s nice to have their team & experience behind you should something go wrong. Do I need a car at Disneyland? If Disneyland is your focus — possibly now. HOWEVER. LA traffic is insane, and I would 100% recommend checking out the cost of a rental car, vs using an uber/cab/transportation to get from the airport to your hotel. FYI, my favorite rental car companies are in that cost calculator, so be sure to check them out. I find that rental car prices are ALL over the place, so you can really save quite a lot by checking around for a half an hour or so. Once you GET to the hotel, I have had great luck with walking & the ART shuttle (like we talked about up above). 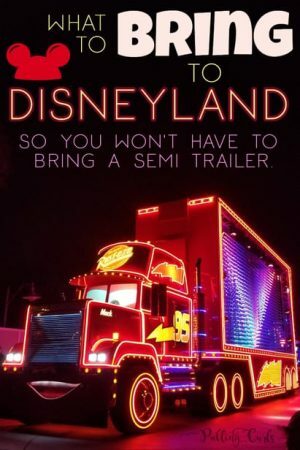 What is the cheapest way to go to Disneyland? I would call Get Away Today — and ask them the ABSOLUTE cheapest way for you to go. When I have asked them in the past, they have mentioned a few hotels that have a great deal. They’re no-frills, but can be a great option. That’s my advice. 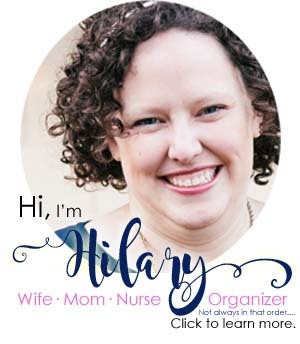 Oh, and be sure to use code CURLS10 to save an extra $10 on top of that! 🙂 You can use that if you CALL or if you go online (you’ll see the spot to put it on the bottom left on the checkout page where it says “promo code”. How busy is it likely to be while I am there? How much of Disneyland do I want to experience? — are you OK with just riding some rides that really get your interest, or do you want to ride ALL of them? Would it be worth it to wait a few more months, so I could afford an extra day to really enjoy my time there and not be rushed? If you go to Disneyland with the entire goal to spend VERY little and save as much as you can — you should go somewhere else. Maybe, go camping. That’s pretty cheap. Hopefully, this trip calculator gives you a target to save for.